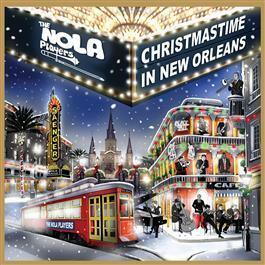 A big band jazz orchestra composed of 18 of New Orleans' finest jazz and classical musicians, The NOLA Players came together to honor their beloved city through this uplifting musical Christmas recording. The gorgeous and merry recording contains 14 tracks of brand new original arrangements of holiday favorites that is sure to be a Christmas classic for years to come. Songs include Silver Bells, Deck The Halls, O Christmas Tree, Joy To The World, Holly And Ivy, Silent Night, Go Tell It On The Mountain, God Rest Ye Merry Gentlemen and six more.